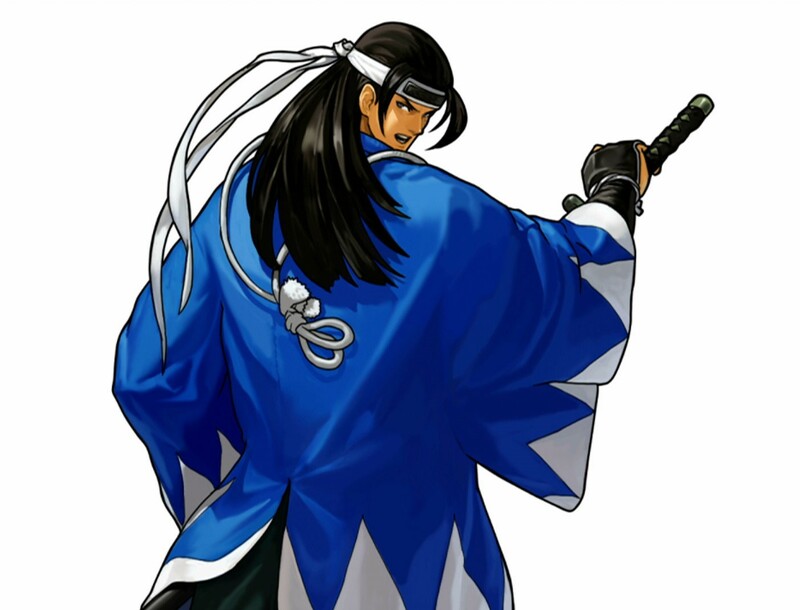 Washizuka is second in command of the Shinsengumi, a police-like group during the Bakumatsu era. His position in the group is unit-leader and investigator. 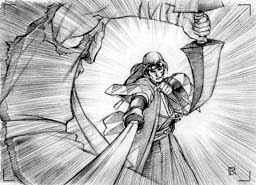 A master of swordsmanship, he's a loyalist who value's his group's tenets as well as Bushido. 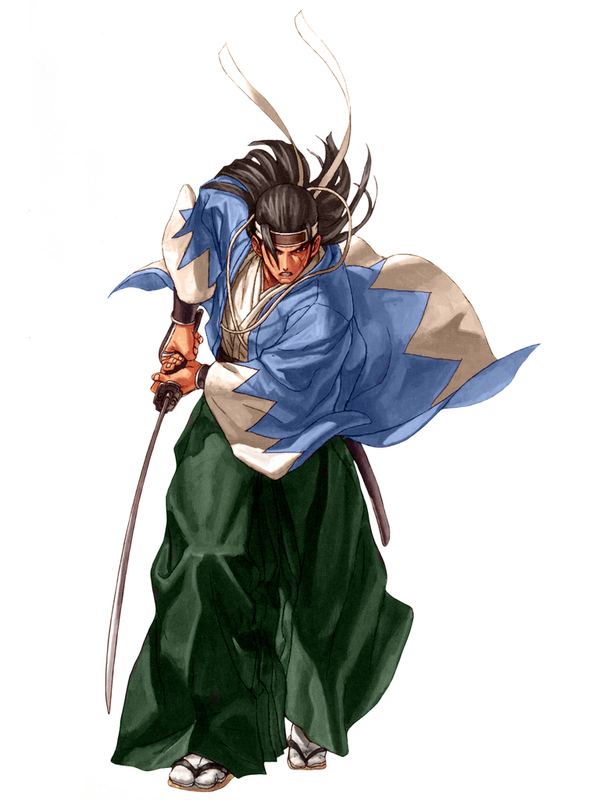 He is a firm believer in restoring order to Japan, and in the old ways of Samurai sword fighting. Typically, he's a very serious individual. 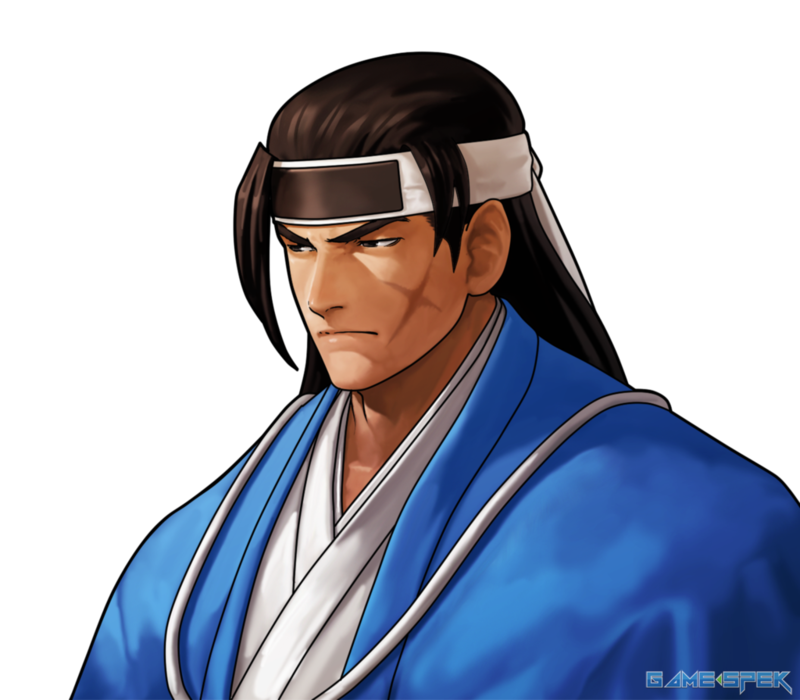 He is extremely loyal to his Shinsengumi unit, and is a friend of Kojiroh Sanada. 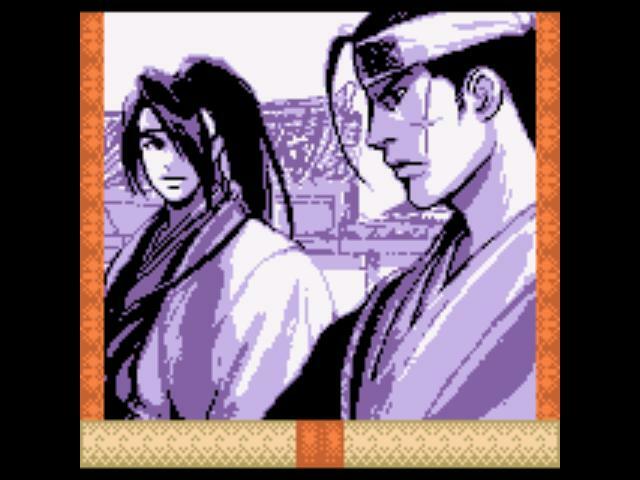 Washizuka's design is loosely based on Hajime Saitō, one of the main characters from the Rurouni Kenshin series. 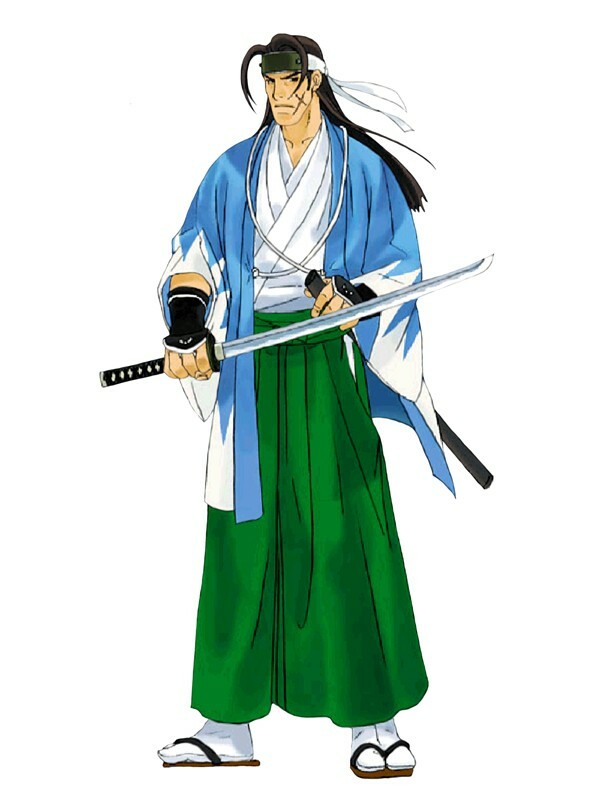 He shares the distinctive X-shaped scar with the manga's protagonist, Kenshin. 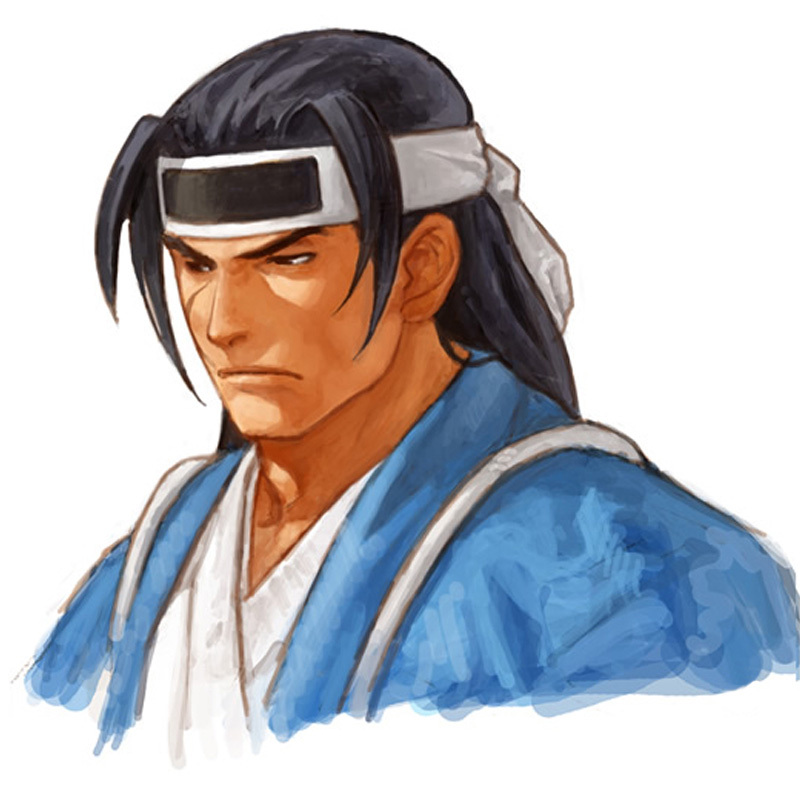 Seldom is a samurai ever "uncool" in my book. 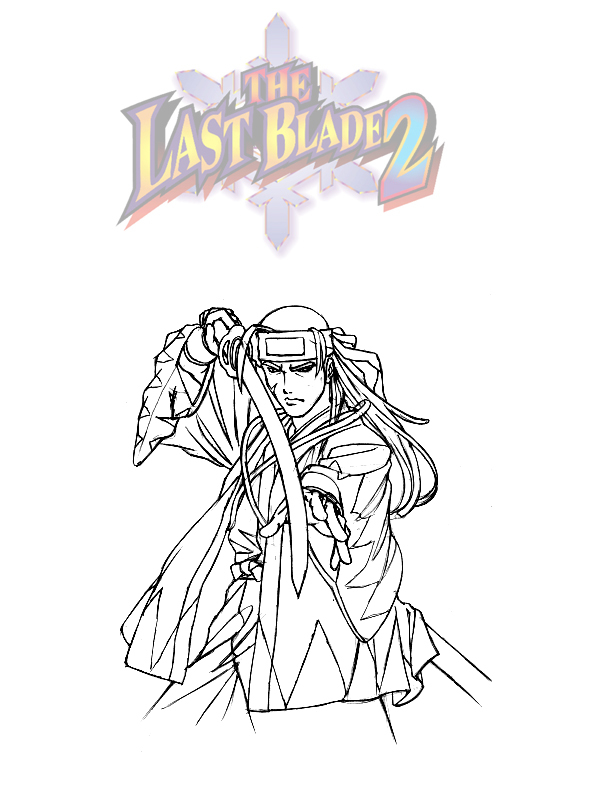 As natural, stylish warriors, they usually end up being awesome fighting game characters and Washizuka follows suit. 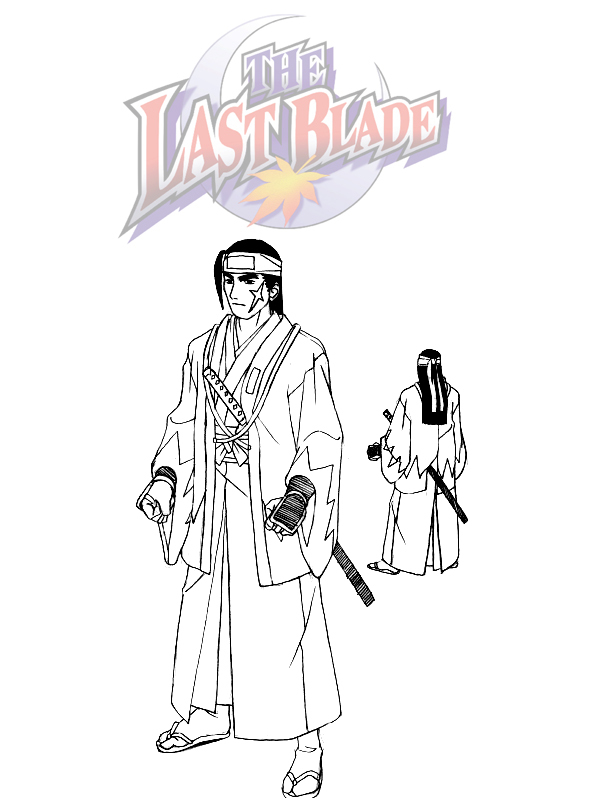 He's a somewhat simple looking design and might resemble a few other samurai from games & anime, but stands as a solid design in Last Blade. 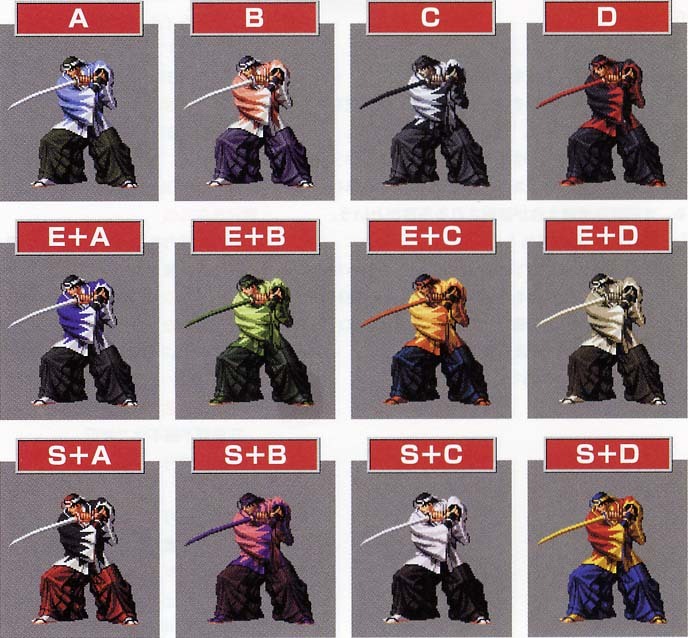 In a game with mostly traditional Japanese designs, Washizuka doesn't need much else. He's one of those serious "badass" personalities that we've seen before... and it works for him. 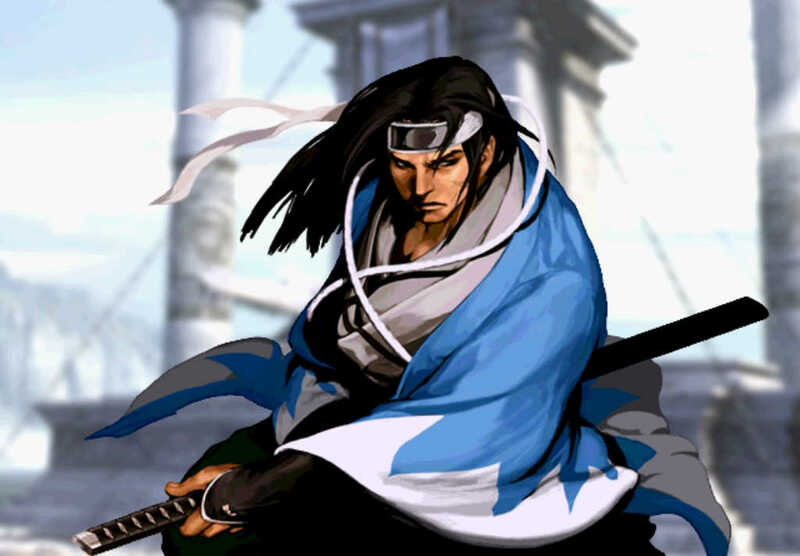 His moveset has some interesting aspects and he's definitely got quite a few cool moves. Although he's not a "main attraction," he adds a nice touch to every game he appears in.